Just when you thought deflate-gate was a thing of the past, there’s a new book to rehash the whole thing, and it purports to shed light on why Tom Brady’s fight against the NFL ended up in federal court. “He demanded that Brady publicly state that former Patriots equipment guys (John) Jastremski and (Jim) McNally had purposely tampered with footballs, even without his knowledge,” the book states. 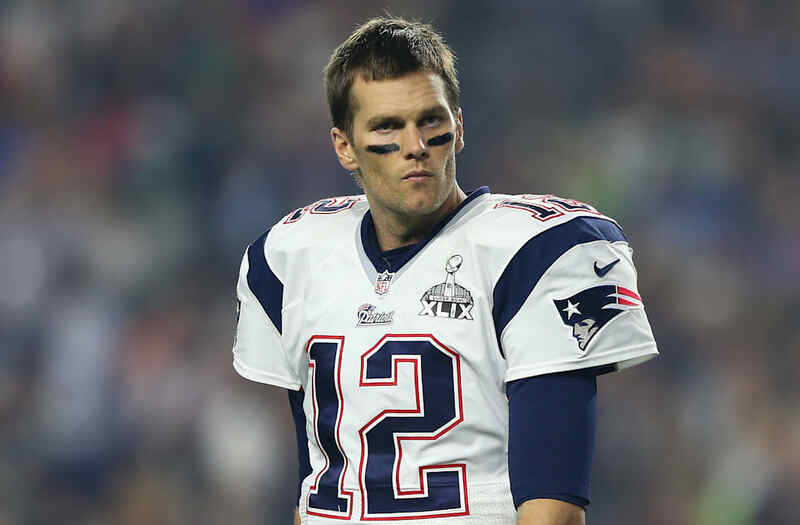 Tom Brady's 4-game suspension costs him $1,882,352 in salary. Patriots' fine is $1M. So team actually makes $882K...but still loses plenty. To win four Super Bowl is outstanding. I know Tom Brady is a great competitor and leader. I feel sorry for him and patriots nation! After 4 months of extreme, detailed investigation.. NE might have, probably, possibly, maybe deflated balls... Most likely. He and they are so good that we often try to Find something to criticize. In this case Ted Wells laid it out on a platter for us. We all were "generally aware" that the Patriots push the rules. We also knew it was "more probable than not" that they cheat. No news here! The Patriots are habitual rule breakers, and that's why they win championships. Smith assured Brady that the NFLPA would fight on his behalf, and together they took the league to federal court. After an appeals court upheld Brady’s suspension, effectively agreeing with the NFL that the league’s labor laws, in this case Article 46 of the collective bargaining agreement, give Goodell the ability to punish players for a wide swath of offenses not spelled out elsewhere in the CBA. It could have gone to the U.S. Supreme Court, but Brady decided to drop the fight and sat out the first four games of the 2016 season. Friday is Brady’s 41st birthday. It’s become something of a holiday at Patriots’ training camp, with fans singing “Happy Birthday” loudly and off-key multiple times during practice. The team did it up big this year too, commissioning a massive “12” cake to share with fans, and providing a giant birthday card for the public to sign.